Have a Memorable Sarasota Florida Travel Story? Please Tell! 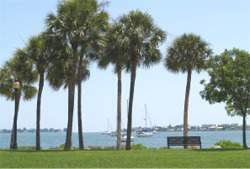 Escape-to-Sarasota.com is about my own Sarasota Florida travels, adventures and discoveries around Sarasota, the greater gulf coast area, affectionately known as the “sun coast” and some of the places I’ve been to and the experiences I’ve had. As I continue to share my Sarasota adventures, reviews and tips on this site, there’s something else I’d like to do. I’d like to include You! So, I’m inviting you to be a part of this site as well by contributing your own Sarasota Travel Story. After all, I didn’t create this site for myself. What sense would that have made? What fun would it be not to share it? I created it for you. So you might enjoy Sarasota, Florida and the sun coast, too. And so that you could interact and share your stories, insights, tips and recommendations with others as well. Whether you are a vacation traveler or occasional visitor, a snowbird or year round resident of Sarasota, Florida, I invite you to share your best experiences, most memorable moments, your most interesting and helpful information on Sarasota (even trivia!) and the sun coast, with other visitors to this site in a Sarasota Travel Story of your own. You are welcome and encouraged to share your top Sarasota Story, tips and anything that will help others who visit to have a more fun and rewarding experience in Sarasota and the sun coast. Have no doubt, your contribution is welcome and it will become a web page and a Blog post as well. So please do share your Sarasota Florida Travel Story, your fun, your magical experiences and tips about Sarasota Florida and the sun coast. Just click the links below. There are a number of idea starters to help get you going. Essentially Sarasota Florida - Your Input! Click here and share what really says, "You're in Sarasota!" to you. Of all our sensational Sarasota beaches, which one is your favorite? A Sarasota photo that captures your number 1 "Magic Moment" in paradise? Have a comment on Sarasota News? Leave your thought here! Sarasota Restaurants & Just Plain Fun! Know a tantalizing Sarasota Restaurant? Write your own review here! Click here to share Your Favorite Golf Course or best tip now! Have A Great Fishing Story, Tip or Favorite Spot ? Share it Here!